IT SEEMS SLASH WAS BORN TO BE A ROCK STAR. HE HAS THE IMAGE—THE UNFORCED SWAGGER, THE SHOCK OF HAIR SPILLING OVER HIS SUNGLASSES, THE ICONIC LES PAUL AND THAT COOL, UNFLAPPABLE PRESENCE AMID EVEN THE WILDEST OF FRONTMAN ANTICS. MOST IMPORTANTLY, HE HAS THE CHOPS TO BACK IT ALL UP. 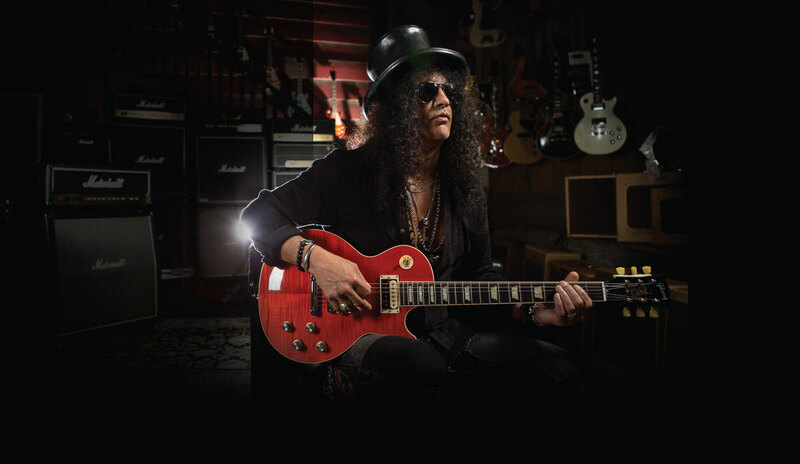 HIS STYLE HAS BECOME A TRADEMARK, FROM “WELCOME TO THE JUNGLE” AND “SWEET CHILD O’ MINE” WITH GUNS N’ ROSES ALL THE WAY THROUGH THE SUPERGROUP VELVET REVOLVER AND ON TO HIS CURRENT SOLO WORK—AND HE MAKES IT ALL LOOK EASY. Over time, he created a unique style and tone that he carried to fame with one of the most famous, and infamous, rock bands of recent history, and then beyond into a notable solo career. 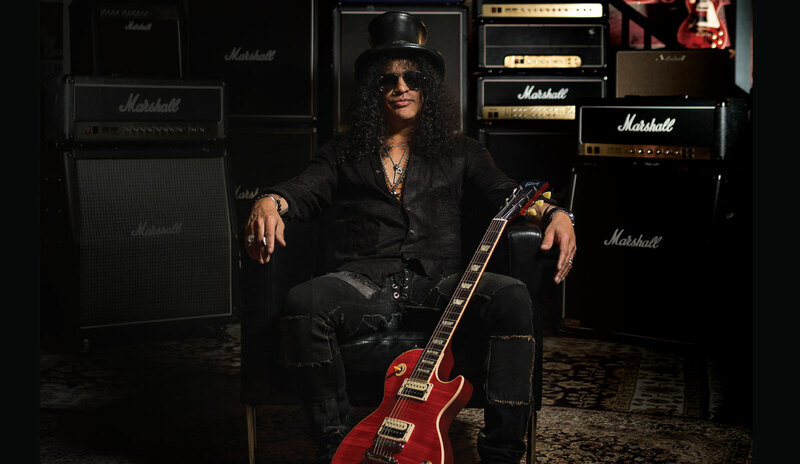 Most recently, Slash has been collaborating with vocalist Myles Kennedy and the Conspirators—a rhythm section made up of drummer Brent Fitz and bass player Todd Kerns. 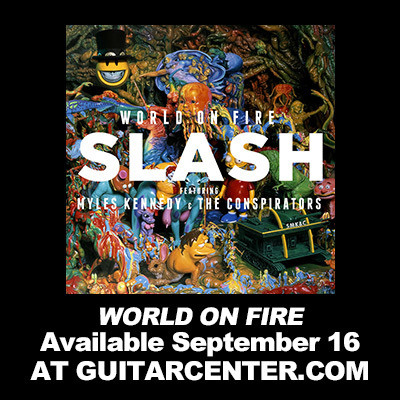 2012 saw the release of Apocalyptic Love, and this September their sophomore effort, World on Fire, will be unleashed.